In the pursuit of our destiny there is something we need to be careful of: coveting somebody else’s calling. If we do, it is possible we will find ourselves pursuing an alien destiny. I am not talking about little green (or grey) men, I am talking about chasing something God never intended for us, but for someone else. That can lead us into frustration and confusion because something seems to be constantly obstructing our path, hindering us or tripping us up. All right, no-one said it would be easy, but this is more than just obstacles to overcome, this is a dead end. Arthur Burk calls it an ‘alien birthright’, and likens it to an immaculately constructed train track (complete with ballast, signals and crossings) laid across the middle of a cornfield we are called to cultivate: it leads nowhere, and meanwhile it gets in the way of what we are supposed to be doing. Lot’s destiny was not in Canaan. We know that, because God told Abram to leave his family behind. So Abram said to Lot, “Please let there be no strife between you and me, nor between my herdsmen and your herdsmen, for we are brothers. Is not the whole land before you? Please separate from me; if to the left, then I will go to the right; or if to the right, then I will go to the left.” Lot lifted up his eyes and saw all the valley of the Jordan, that it was well watered everywhere—this was before the Lord destroyed Sodom and Gomorrah—like the garden of the Lord, like the land of Egypt as you go to Zoar. So Lot chose for himself all the valley of the Jordan, and Lot journeyed eastward. Thus they separated from each other. Abram settled in the land of Canaan, while Lot settled in the cities of the valley, and moved his tents as far as Sodom. Now the men of Sodom were wicked exceedingly and sinners against the Lord. Abram offered him the option of taking the best land, and he did! But the best land took him to Sodom. Soon after, Abram had to go and rescue him when he was taken captive by rebel kings, and still eventually he lost everything, including his wife, in the destruction of the city. The only reason he got out with his own life was that God remembered Abraham, and sent Lot out of the midst of the overthrow, when He overthrew the cities in which Lot lived (Gen 19:29). Finally, his daughters got him drunk and had children by him, Moab and Ammon, who each became nations hostile to God’s purposes. All because Lot coveted Abraham’s destiny. There are plenty of other ways to pick up an alien destiny. Our past generations can have an effect on us, or there may be things we have done as individuals which have allowed it to take place. It can happen through occult involvement, or through masonic oaths and curses, and if we do not deal with it these things can project onto our future generations too. It can happen through fortune-telling, tarot cards, astrology or reading tea leaves, anything which involves looking to a wrong source for your destiny. Cults are another way. A cult is designed to take away your individual identity and purpose, and draw you into a group identity and purpose. If you embrace that and buy into the vision of the group, you lose yourself. If we open the door, the enemy will lay all kinds of false trails because he wants to deflect us from fulfilling the true purpose God has for our lives. Any legal right we give him, or that he can find in our generational line, he will take. Perhaps our parents wanted a child of a different gender, or tried to fulfil their unfulfilled dreams through us. Perhaps we were coerced into conforming to the family tradition or business, maybe becoming a doctor, a lawyer, a pastor or a thief. That kind of pressure can prevent us connecting with our true calling. Or perhaps we glimpsed our own destiny and turned it down as something we could never attain (or the reverse, something we could never be content with). Buried under layers superimposed on our lives, our true birthright still endeavours to make itself known. If we do not know who we are or why we are here, if we sense deep down a yearning for something completely different, if we often have daydreams, if we come to realise that we would fit in better somewhere else, if our deepest wishes and desires go constantly unfulfilled, it may be because we are pursuing an alien destiny. If we have reached the pinnacle of achievement but still feel unfulfilled, perhaps we have attained that success in an area God never intended. It feels like a mockery. Solomon knew a little about that. He never really fulfilled all that God called him to do because he got distracted by ‘the girls, the gold and the glory’. “Vanity of vanities,” says the Preacher, “Vanity of vanities! All is vanity.” (Ecc 1:2). When we are following God’s ordained plan for our lives, our timeline is designed for our success (Ps 139, especially verse 16). He has positioned events, people, structures, assets and resources at certain points along our pathway in such a way as to facilitate our destiny, divinely ordered appointments to help us, to stimulate us and enable us to fulfil God’s purpose. But if we are stumbling over a length of rail track across the middle of our field, we will never encounter them. We are in danger if we look at someone else’s anointing, mantles, gifts or position and desire it for ourselves. Now there is a place for having heroes of the faith, people we look up to and in whose example we find encouragement and inspiration, but we cannot covet someone else’s birthright because it looks more glamorous, more high-profile, or offers more kudos. We must not despise our own calling by yearning to be someone else. Again, if we are always looking for shortcuts to success because of spiritual laziness, if we do not want to take the time to develop character and deal with our issues, if the price for that seems too high, we will find plenty of people willing to oblige. They are those who prey on the lazy, looking to legitimise their own ministry by giving away things that do not fit our lives, offering mantles, impartation and false prophetic readings. Many have taken on things which were never designed for them because some prophet with mixed motives said “you should be doing this”. Too often, instead of being willing to pay the cost for unpacking something of true value and worth, we are seduced by the lure of the sparkly and attractive, offered on the cheap. We live in the culture of the instant, in a society which expects immediate gratification. That is not God’s way. People with great anointing have normally paid the price for what they have, so if someone is offering it to us cut price or free of charge, then beware! If we get zapped by something which is alien to us, it can create that ‘track in a field’ which leads to nothing. There is a legitimate laying on of hands, to impart gifts, pass on the baton, or receive mantles which release our own destiny. This is to help us be who we really are, not to tell us we are to be something or someone else. God will tell us who we are and we will find it already vibrating within our hearts. I know some people here at Freedom who have had ‘prophetic words’ spoken over them which they were wise enough to reject because they did not resonate with what was in their hearts. If we are constantly tripping over others’ tracks, then we need to ask ourselves the question, have we pursued or lusted after someone else’s destiny? If we feel that we have, or that our generational line has, then we can repent. The true meaning of the word in scripture is nothing to do with being sorry or making amends, it means ‘change your mind’. We need to change the way we think, turn away from it, renounce it, and get deliverance. We will have to forgive and release the people responsible, whether ourselves, our ancestors or other people who had a part in causing us to go after the alien destiny. Have we despised and rejected the amazing destiny God actually designed for us? If we have gone chasing after something else then yes, we have! Let’s repent of that too. All this might take a while. We are talking about transformation of a whole mindset, which rarely happens overnight: let’s give it whatever time is necessary to do it thoroughly. Even as we do we can begin to engage with Him about how to pursue what He really has for us, and get back onto the path of our true destiny. This post has been drawn from session 4. 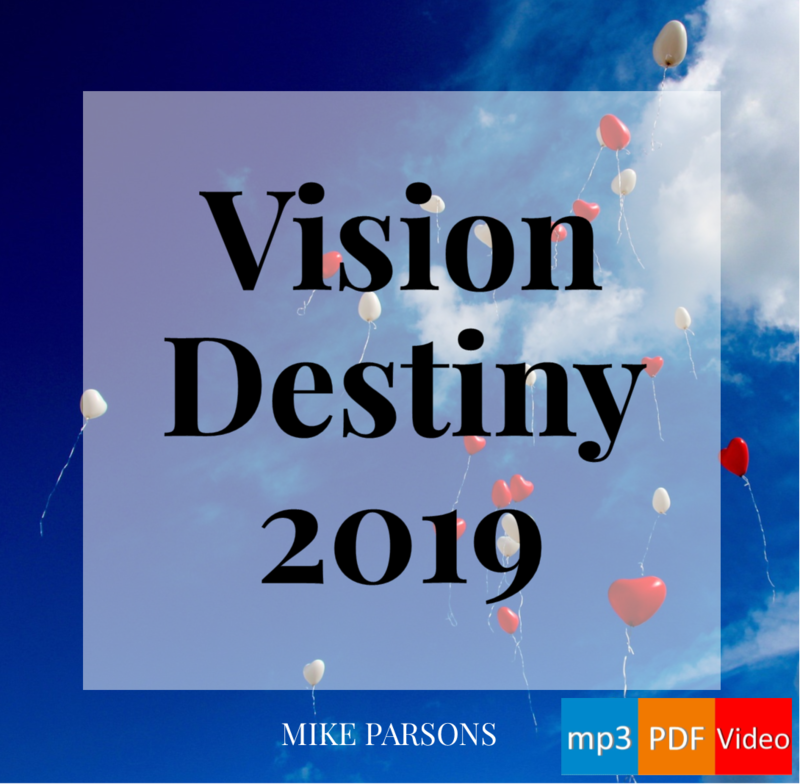 Transformation: mp3 audio teaching series and blog series by Mike Parsons. The audio series is also included in Engaging God.